A relentless stream of drug shortages has hit Canada in 2018, with one in four adults in the country being either personally affected or knowing someone who has. That’s according to a study released by the Canadian Pharmacists Association last month, which paints a picture of a worsening problem. “It's really starting to become a much more dire situation in pharmacies,” Phil Emberley, the association's director of practice advancement and research, told CBC News. The issue gained widespread attention with a critical shortage of EpiPens last summer. More recently last month, pharmacies across the country ran out of Wellbutrin, a widely used antidepressant. All in all, there are more than 1,690 medications with an “actual shortage” status on Drug Shortages Canada, the official tracking website of the federal government. 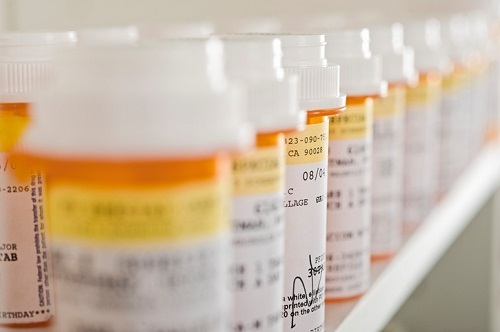 The root causes of drug shortages are uncertain, though experts point to factors ranging from manufacturing issues to pharmaceutical firms’ marketing and distribution decisions. Health Canada has repeatedly said it’s working on solutions to the issue. Dr. Jacalyn Duffin, a hematologist and medical historian at Queen’s University, believes the pharmacists association’s findings understate the problem. The survey polled 1,500 people from the general public; if it had focused more on those who need medications constantly — to manage chronic conditions, for example — it could have shown a higher number of people whose prescriptions had to be changed because of a shortage. There’s a lack of clear data to show the actual frequency of adverse effects, Duffin said. In other words, cases where patients suffer because of a substitute drug they were forced into are not likely to be documented. The Canadian Pharmacists Association is also worried about another risk: patients going to unregulated suppliers on the web. Twenty one per cent of respondents to the survey said they have either purchased medication online or have looked into that option.